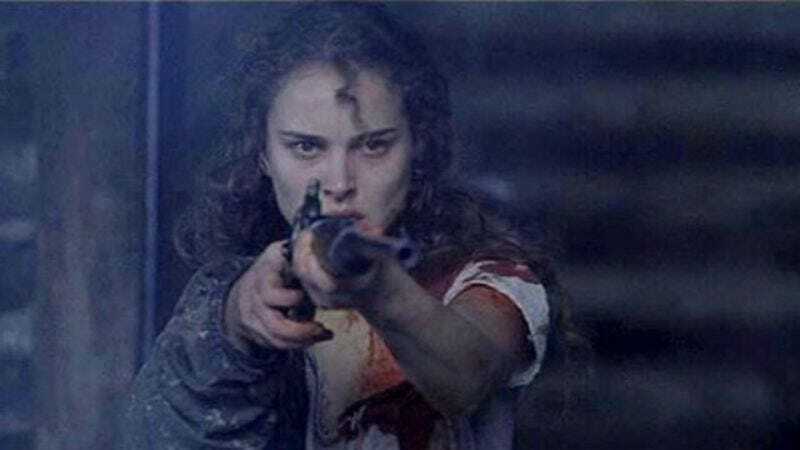 The Natalie Portman-starring Western Jane Got A Gun has been plagued by dropouts and postponements almost ever since it was announced. While Portman’s reputation for professionalism was proven when she suffered through an entire trilogy full of wooden dialog, miscast romantic leads, and Jar Jar Binks, her colleagues on this new project have been less than reliable. Director Lynne Ramsay decided that it was totally cool to bail on the first day of work and was replaced with Gavin O’Connor (Warrior). A carousel of actors joined and departed the project, including Jude Law, Michael Fassbender, and Bradley Cooper, before Ewan McGregor became the latest to step in as the film’s villain. Meanwhile, release was pushed back from this past August to February 20. And now, Variety reports, the release is being postponed again until September 4, 2015. So Jane Got A Gun will ride into town at the end of next summer, like a quiet drifter who promises a widow he’ll saddle up and put a stop to the band of outlaws savaging a sleepy Western town. The drifter in this case deciding it was too dang hot for a summer shootout, and holed up until winter, cleaning his guns and steadying his aim by firelight. Then the drifter saw all the snow outside and said, this is crazy; it was better back when it was hot. And so the widow waits for the drifter to keep the very promise he’s hoping she’ll forget about.